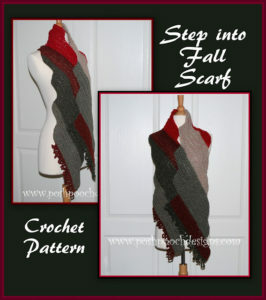 This super scarf pattern comes in written form as well as with a video tutorial. It’s nice and wide and has a lovely jagged edge to compliment any of your favorite outfits. The pattern calls for a worsted weight yarn and an I crochet hook.